We're only one week until Christmas and it usually seems like news really slows down this time of the year. But not this time! We have a lot of great news to share with you this week, plus reviews of Hawaii Five-O - The Tenth Season and C.S.I. Miami - The Eighth Season. Let's get started! But that isn't all for the Screen Gems series! We've talked about The Donna Reed Show a few times before on here and developments with that series since Virgil Films and the estate of Donna Reed couldn't come to an agreement regarding releasing seasons 4 and beyond. We mentioned that Donna Reed's daughter, Mary Owen, was working on trying to get the fourth season on DVD, and it appears that is becoming a reality now. Mary Owen has announced on a Facebook page devoted to getting season 4 on DVD that the fourth season will in fact be on DVD in time for Mother's Day from MPI! And, additionally, the fifth season will follow at a later date. But there are still three more seasons after that, and what about those? We honestly have no idea. Sony apparently owns the rights to those episodes, so perhaps some studio could license those episodes from them. Only time will tell what will happen with those episodes, and if they ever make it to DVD. The Screen Gem series, though, are hardly the only classic series worthy of coming to DVD, and of course, one of TV's biggest stars, Lucille Ball, worked through her own studio, and now, we have an official date for The Lucy Show - The Official Fourth Season! According to the CBS Home Entertainment Facebook page, the set will be released on April 26. No word on the content of the DVDs just yet, but hopefully it will be as good as the first three sets that were released. 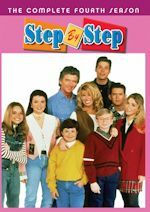 After all of this talk about 50s and 60s TV, we forge into the 80s, with a follow up on Growing Pains! It has been four years since we saw Jason, Maggie, Mike, Carol, and Ben on DVD and fans had basically given up hope of seeing them again, until a few months ago when Warner announced in a chat that we would be seeing the second season sometime next year. Well, this week, it was announced that Warner Home Video will be releasing Growing Pains - The Complete Second Season on DVD on April 26! This news is even better because this will be a standard release--not a Warner Archive release. Hopefully, we won't have to wait four more years for the third season, and Warner will "show us that smile again" for seasons 3-7. Tuesday (December 21) is a light day for releases, with the highlight being CBS Home Entertainments release of The Andy Griffith Show - 50th Anniversary: The Best of Mayberry, which brings us 17 of the (truly) best episodes of The Andy Griffith Show, along with the movie Return to Mayberry. You can read our review of the set here. Also on Tuesday, we get the third installment of the Star Wars parodies from Family Guy with It's a Trap (also on Blu-ray), as well as the Laugh it Up Fuzzball Trilogy that contains all three parodies (Blu-ray only). Finally, we go into the future with Futurama - Volume 5 (also on Blu-ray). We have not received these titles for review yet. Of course, you can read our reviews of these DVDs and more at our main reviews page. Hawaii may seem like the perfect place for surfing and fun in the sun, but don't be fooled. Crime occurs all the time in the island state, and Steve McGarrett (Jack Lord) and his team of crime fighters will go to any length to stop it in Hawaii Five-O. The popular crime series aired for 12 seasons on CBS, and made enough of an empire in popular culture to even inspire the current CBS crime drama, Hawaii Five-0. Here is our review of the tenth season of the classic series. Hawaii Five-O - The Tenth Season (CBS Home Entertainment, $49.99) brings 24 more episodes of the 1977-1978 series about a team of detectives fighting crime in Hawaii. Headed by Detective Steve McGarrett, the team responds to only the most serious of crimes and will do anything to bring justice to those who have done wrong. And this team will stop at nothing to get their man, putting themselves at risk in each and every episode. This six disc set contains all of the tenth season episodes on DVD. The season begins with "Up the Rebels," where an Irish terrorist poses as a priest in order to buy bombs in Hawaii to use in his own country. McGarrett is out looking for a missing child (deeply undercover) in "The Cop on the Cover." A rookie cop is framed for corruption in "The Friends of Joey Kalima." In "The Ninth Step," a recovering alcoholic ex-cop turns to McGarrett to make amends. A reporter investigating a sleazy real-estate developer turns up dead in "Shake Hands With the Man in the Moon." What better way to rob a bank in Hawaii than to create a fake tsunami warning? That is what happens in "Tsunami." McGarrett takes a job he'd rather not have in "Tread the King's Shadow." It could be doctor on doctor murder in "The Big Aloha." It's a big case for the team in "A Short Walk on the Long Shore," but McGarrett may not be able to help due to family business. A philandering congressman is blackmailed in "The Silk Trap." Judging a surfing competition somehow turns into a murder investigation for Danno in "Tall on the Wave." In "When Does the War End?," a Japanese man seeks revenge over his father's treatment in a Japanese internment camp. A man's widow becomes a prime suspect for murder in "A Stranger in the Grave." The season ends with "A Death in the Family," where McGarrett seeks assistance from an organized-crime boss when one of the Five-O team is killed. The DVD is packaged in a Viva pack this time, but it does have a cardboard sleeve that the case pulls out from on the side. The artwork on both of these cases is the same, and most likely, only the initial pressings will have the cardboard sleeve. 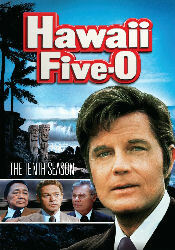 The cover art has a large photo of McGarrett along with smaller pictures of other members of the team. On the back, there are episode snapshots along with the basic information about the series. There is no disc artwork aside from the series logo on a gray background, like all other CBS Home Entertainment sets. Each disc (six in total) contains four episodes. Inside the case, there is a listing of all of the episodes, along with original airdates and a brief synopsis. The menus are very nicely done, but also very simple. The main menu has a video montage from the episodes with a large picture of McGarrett on it, and options of Episodes and Subtitles. The famous theme song plays in the background. Subtitles allows you to turn on the English subtitles, and selecting episodes takes you to an all text list of episodes on the disc. There is also a Play All option on this menu. The episodes on the set have fairly decent video and audio quality, which is to be expected since the series was remastered not too long ago. It does show some aging, but it isn't that bad. The audio is presented in mono, which is surprising, since some other series of this era have been remixed in stereo. Still, it is more than adequate. The episodes contain English subtitles for the hearing impaired. 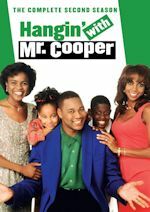 There are no special features on the set, not even the episode commercials that were included on some of the previous sets. It is too bad, because a series like this could really shine with a lot of new special features. All in all, this is another great standard set of episodes for the series, although it would be nice to see some special features on future sets. I've gotten into this series quite a bit since purchasing some DVDs of it at Big Lots, so I'm still fairly new to the series, but I am impressed. It is much more interesting and thrilling than other similar crime dramas of the same era. Fans of the series (and there are many out there) are sure to be pleased with this set, but others may want to give the show a chance. It really is a great series, and on that note, I say to you... book 'em Danno! CSI: Miami - The Eighth Season (CBS DVD/Paramount Home Video, $62.99) - The Miami team is taken back to its roots when the division's true origins are finally revealed in the memorable kickoff to this must-own season. And history is made again as the Miami, Las Vegas, and New York teams collaborate for the first time to crack open a crime syndicate. Featuring David Caruso, Emily Procter, Adam Rodriguez, Rex Linn, Jonathan Tigo and Eva La Rue, CSI: Miami's celebrated cast is now joined by Eddie Cibrian and Omar Benson Miller as the newest members of the Miami team. Grab the essential eighth season of this Emmy and People's Choice Award-winning series. Join the team as they defuse a hostage situation and a deadly bacterial outbreak, with new agents and old colleagues joining the fight. And learn just how dark the sun-drenched streets of Miami can get. This 7-disc set contains all 24 episodes (plus 2 crossover CSI: Crime Scene Investigation and CSI: NY episodes) from the eighth (2009-10) season of the long-running crime drama. The episodes are presented in anamorphic widescreen enhanced for 16:9 TVs with English Dolby Digital 5.1 Surround Stereo audo (Spanish Stereo is also available). It has a total running time of approximately 17 hours, 13 minutes. 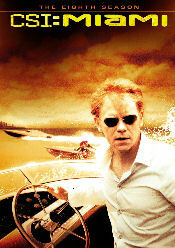 The attractive packaging has a photo of David Caruso on the cover driving a boat and wearing his trademark shades. There is an embossed CSI: Miami logo at the top of the box. After using Digipak packaging for previous seasons, they've switched to a cardboard box that holds a clear plastic snapcase. There is a large photo of David Caruso, smaller photos of Adam Rodriguez and Emily Procter, and even smaller photos of Rex Linn, Omar Miller, Eva La Rue, Jonathan Togo and Eddie Cibrian on the back of the box/snapcase. A short synopsis of the set, a listing of the special features and the DVD specs are given. There is a clear plastic snapcase that slides out from the right of the outer cardboard box. The snapcase has the same cover art, photos and information as the cardboard box. Opening up the snapcase, there is a content locator in the front panel which lists the episodes and the special features on the inside cover. Discs 1-6 are held back-to-back in plastic trays, while Disc 7 is an embedded holder in the back of the case. The discs are just silver, with the CSI: Miami logo on them. Unfortunately, they didn't include the Crime Scene: Do Not Cross tape around the packaging for this release. The menus are stylish and easy to navigate. There is a series of previews (4:28) for some other CBS DVD/Paramount DVD releases and the CSI: Fatal Conspiracy game which you can play or skip. The main menu opens with some police helicopter views of Miami that lead to a montage of video clips from the show. An instrumental cue from the show plays in the background. Options are available for Episode Selection, Set Up, Special Features (on select Discs) and Previews (only on Disc 1). You can choose either English 5.1 Surround or Español audio on the Set Up Menu. Closed captioning is available for all of the episodes, but some of the special features are not rated and may not be closed captioned. As you would expect from such a recent show, the video and audio quality is outstanding. This was the first season they used high definition cameras. Miami has the best scenery of the CSI franchise. There is no disclaimer on the back of the box about any of the episodes possibly being edited. Episodes are presented in their original broadcast order and numbered by the production number. Running times are between 41-43 minutes in length. Audio Commentary by Director Sam Hill, Visual Effects Supervisor Larry Detwiler, Editor James Wilcox and Location Manager Paul Codiga on "Out of Time"
It's Been Reel: Saying Goodbye to Film (8:21) - This featurette includes interviews with Co-Executive Producer Barry O'Brien, Co-Executive Producer Marc Dube, Director/Producer Sam Hill, Producer Don Tardino, Camera Operator Bill Gierhart, Director of Photography Ken Glassing, Digital Imaging Technician Ryan DeGrazzio, Department Head Make-Up Cheri Montesanto, Rex Linn, Jonathan Togo, Department Head Hair Scott Williams, and Omar Benson Miller. They talk about the switch this season to shooting with high definition cameras, how some shots are still shot on film, how the cameras are operated, how the make-up and hair changed with the high definition shooting, the lighting and colors, and the future of high definition. Blast to the Past (13:00) - This featurette includes interviews with Writer Tamara Jaron, Co-Executive Producer Barry O'Brien, Co-Executive Producer Marc Dube, Director/Producer Sam Hill, Emily Procter, Adam Rodriguez, Rex Linn, Set Decorator Megan Malley Cannon, Director of Photography Ken Glassing, Producer Don Tardino, Visual Effects Supervisor (LOLA) Edson Williams, Department Head Make-Up Cheri Montesanto, and Department Head Hair Scott Williams. They talk about the origins of this flashback episode of how the team got together, the challenge of incorporating all of the characters, capturing the 1997 forensics and science, how the sets were changed with filing cabinets and more paperwork, how they made the actors look younger digitally and with make-up, and how Horatio got his sunglasses. MDPD Files: Jesse Cardoza & Walter Simmons (12:04) - This featurette includes interviews with Jonathan Togo, Producer Don Tardino, Emily Procter, Eddie Cibrian, Writer Tamara Jaron, Co-Executive Producer Barry O'Brien, Co-Executive Producer Marc Dube, Eva La Rue, Director/Visual Effects Supervisor Larry Detwiler, Omar Benson Miller, and Writer Melissa Scrivner. 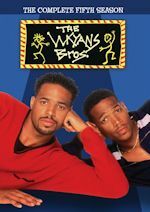 They talk about the new characters of Walter Simmons (Oman Benson Miller) and Jesse Cardoza (Eddie Cibrian), how the characters were introduced and their backgrounds, and the chemistry of the new characters. Twist of Eight: Season in Review (16:11) - Jonathan Togo, Producer Don Tardino, Co-Executive Producer Marc Dube, Co-Executive Producer Barry O'Brien, Eva La Rue, Adam Rodriguez, Emily Procter, Rex Linn, and Director Rob Zombie. They talk about keeping the show fresh, the emotional side of Horatio, the relationship between Delko and Calleigh, Natalia's hearing loss, how new characters were added, the groundbreaking episodes of the season, guest stars Pau Gasol, Cheryl Ladd, Anthony Michael Hall, and working with Director Rob Zombie. Leaving Las Vegas: Langston Heads East (23:28) - This featurette was also available on the CSI: Crime Scene Investigation and CSI: NY releases. It details the triple crossover event. They started out in Miami, moved to New York and finished in Las Vegas. Inteviews include Executive Producer Carol Mendelsohn, Executive Producer Naren Shankar, Executive Producer (CSI: NY) Peter M. Lenkov, Laurence Fishburne, Co-Executive Producer (CSI: Miami) Mark Dube, Director/Producer (CSI: Miami) Sam Hill, David Caruso, Omar Benson Miller, Executive Producer (CSI: Miami) Barry O'Brien, Christian Clemenson, Emily Procter, Executive Producer (CSI: NY) Pam Veasey, Melina Kanakaredes and Gary Sinise. Bear Necessities (3:17) - This featurette includes interviews with Director/Producer Sam Hill, Bear Trainer Scott Handley, Jonathan Togo, and Omar Benson Miller. They talk about working with the bear and how it cooperated in the episode. Audio Commentary by Director/Producer Don Tardino, Script Supervisor Claudia Yarmy, Emily Procter and Adam Rodriguez on "Backfire"
Season eight was a season of change. A few characters were brought in that added more humor to the show. Adam Rodriguez missed a number of episode this season while working on other projects. They've tried to keep the show fresh and original. The season eight premiere, "Out of Time," was quite an interesting flashback episode to see how the team was brought together. Other memorable episodes this season included "Bone Voyage" as part of the CSI crossover event, "Show Stopper," "Mommie Deadest," "Time Bomb," and the season finale: "All Fall Down." This is another very good release. If you've bought the other seasons, you know what to expect with the special features and how the episodes are presented. I'm a big fan of commentaries, so I always hope to see more of them included. 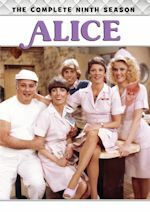 This was the first season that was shot in high definition, so it's disappointing that there is no Blu-ray release to go along with the standard DVD. Despite some new characters and innovative episodes, season eight was the lowest rated season of the series. CBS has moved the show to Sunday nights at 10pm. After more than 200 episodes produced, this show is starting to show its age a bit. Viewership has continued to drop on Sunday nights, but I think they probably have at least a few more seasons left. Next Saturday is Christmas, but we'll still be here for another edition of Digital Digest regardless. It'll probably be a light news week, but we'll have reviews of some animated DVD sets to bring out the kid in you on Christmas morning. So after you wake up and open your presents, check us out here for the next edition of Digital Digest. Until then, keep it digital!